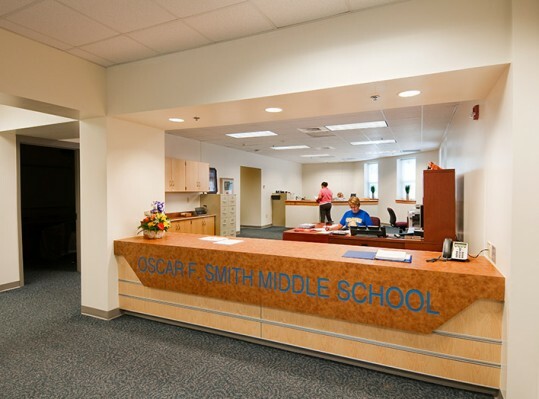 RRMM Architects, with an associated architect, was selected to design the new Oscar Smith Middle School. 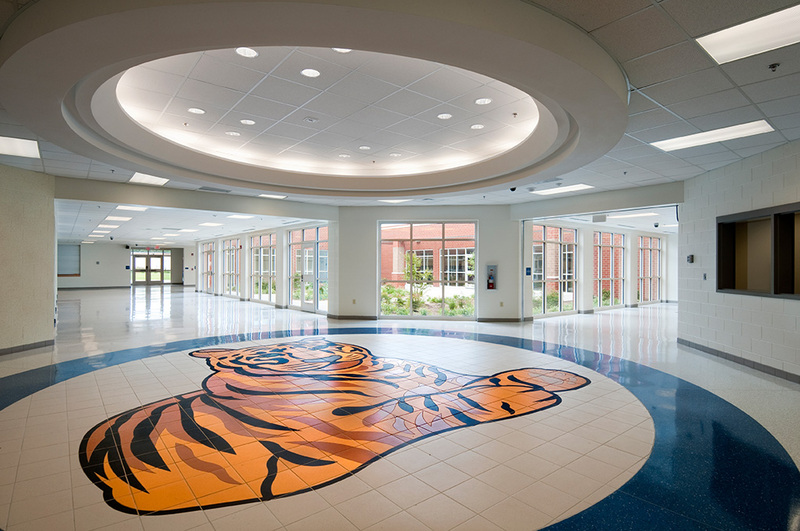 The concept for the new 242,626 square foot school was the result of in-depth research, numerous middle school visitations and hours of design sessions with school personnel. 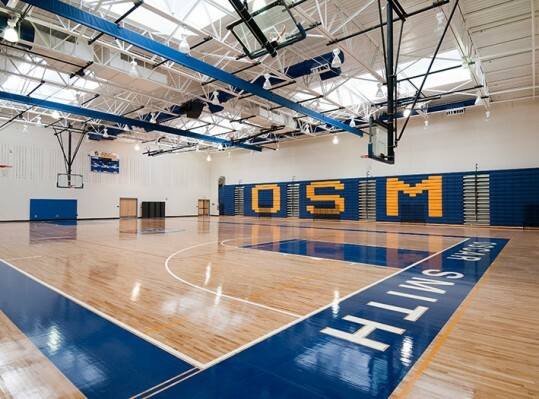 The school is organized around the idea of a school within a school concept and is broken down into three smaller “houses” on three floors, which combine to form the Academic Wing, and are connected to the common public/activity areas as well as the “exploratory” subject area wing. 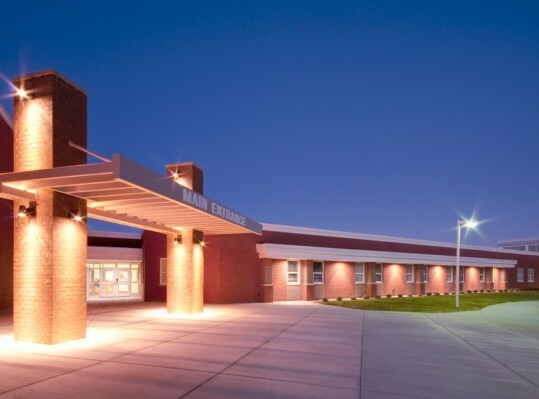 The purpose of these houses is to give the sense of a smaller school community within the larger school. 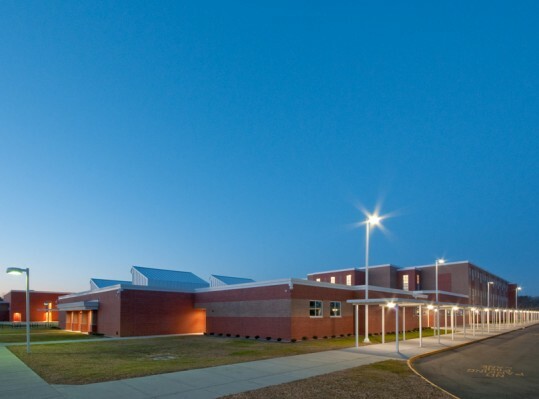 Each house is home to 450 students in one grade within the larger 1,350 student capacity facility. 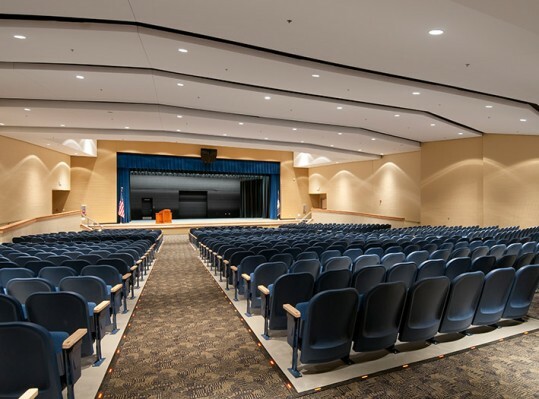 Each of the three houses is assigned to a separate grade level (eighth graders are placed on the first floor, seventh graders on the second and sixth graders on the third floor). 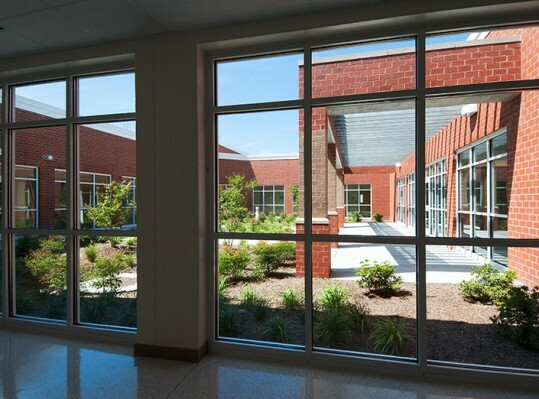 This grade house approach allows students to stay within their house for a majority of the school day and provides teachers and Assistant Principals with the familiarity that is enjoyed in a smaller school.